Buzzard attacks are rare, but when they occur on the scalp of an organizational change practitioner it leaves a scar. Five seconds of horror and two lessons for life: Respect and Experience. I am a fan of animal metaphors in my blog posts, be it ducks, elephants or a complete ecosystem of a pond. This post is quite similar, but it has a little twist from a Birds perspective. Indeed. 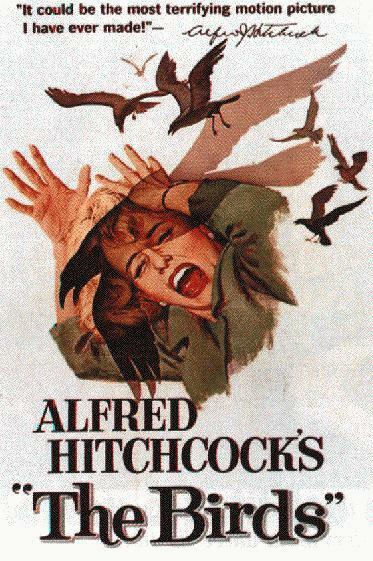 In the exact sense and to the same horrifying extent as Hitchcock’s 1963 movie, where birds of all kinds suddenly begin to attack people. As you can see from the above picture, I had my dose of Hitchcock today. I went for a morning run when all of a sudden a buzzard swooped from behind and attacked me with its talons. But I am alive and well, no stitches – just a tetanus renewal and full box of antibiotics for the coming week. Apparently buzzards always attack from the back. As I read through some buzzard attack incidents – I found that mine was exactly the same: a bang on the back of my head and as I looked up the buzzard was already preparing its next attack. It missed that second attack probably due to my primal screaming and gesticulating. By the third attack I managed to grab a piece of wood and noticing that, it past by and landed on a branch, finishing our encounter with some screams of victory. I wouldn’t be blogging about this incident if I hadn’t procrastinated some sense out of this experience throughout the day. When a bird of prey tries to pick your brains there must be a lesson in there. The takeaway – apart from the vaccination – for Organizational Change Practitioners is the fact that any time of the day you may be thinking of yourself as minding your own business and doing no harm, when all of a sudden horror strikes. You are puzzled and instantly your sense-making mind starts to produce a reality to match your indignation. Like me you may be advertising your innocence and receive lots of sympathy. Fact is that I was a threat to the bird and that – from its perspective – the bird did what it had to do: it gave me hell. I was a foreign element disturbing the bird’s status quo. As long as I fail to see this, I will continue to be in the right. Indignation is the force that puts me in the right, and since the bird cannot post its opinion – not even on Twitter – that’s where this game will end: shared disgruntlement powered by one man’s indignation. Sounds familiar? How about suspecting myself first? For instance: I now learned about the breeding season; I investigated comparable incidents; looked at the birds motives, etc. As a result I can now invest in a hat or better even: avoid the territory this time of the year. Knowing that I cannot control the bird, ‘trying harder to be right’ will not help. Instead, approaching the incident with respect is a better response; a responsible one. The result: I am now better equipped and “able to respond” to the situation at hand (i.e. the real meaning of the word ‘responsible’). A second lesson I can take away from today’s adventure is the fact that you never know what will happen until you do something. 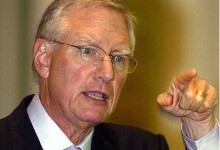 As Tom Peters is often quoted: “Implementation is the last 99%”. The point is that I could prepare my run with all of my knowledge but would never ever be investing time, money or manpower into preventing head injuries from buzzards. And still, reality hit me and proved me wrong. That is why preparation and plans are good as long as they are a conversation in the first place and NOT a document that reads between the lines “you can now stop thinking”. Most of the times though we see people blindlesly carrying out a plan even when the circumstances are screaming for course adjustment. Good planning may have saved a skinned knee but never would have saved my scalp today. 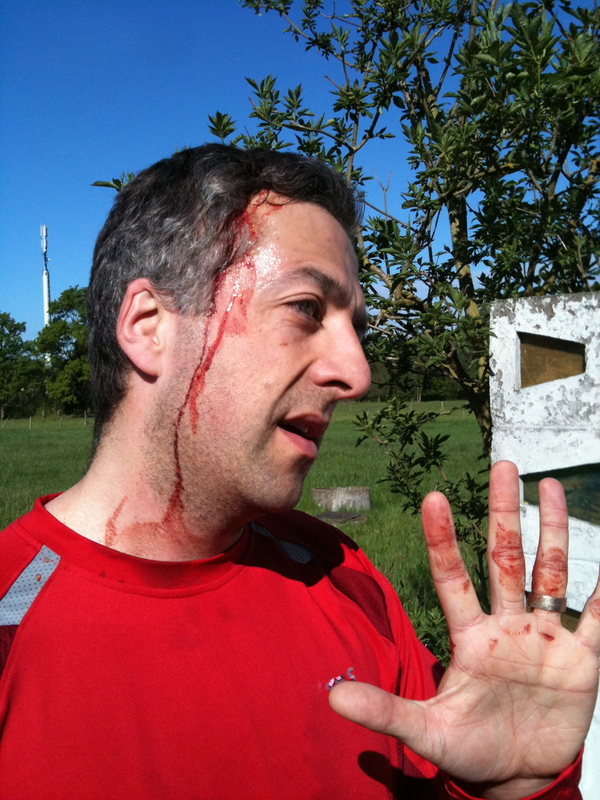 Primal scream course correction prevented me from more than one head injury. Could I have prevented the injury altogether? No way. That part is called: Learning. The part that is called Experience is scratched on my scalp. I take it with me wherever I go. It is the ultimate learning. Have you ever contemplated on the simple fact that buzzards have an anti-joggers fanclub, a very succesfull one with many members and victims aswell. Were you really a threat or a natural non rational irritation to the bird? Can anyone change that, non rational resistance? Should we be wearing helmets?